Formed by writer Rina Durante in 1975, Canzoniere Grecanico Salentino – or CGS as they are widely known – is regarded as Italy’s leading and longest-standing traditional music ensemble, hailing from the Salento, the heel of the Italian boot, in Puglia. Canzoniere (songbook) will be the band’s 19th album and is a collection of 12 songs (11 original and 1 traditional). Mauro Durante, who took over leadership of the ensemble in 2007, has conceived an innovative and ambitious album, which despite taking in various musical styles never loses CGS’ own unmistakable style and originality. In Canzoniere, “Pizzica” meets the world, with strength and maturity. Canzoniere was a project born and developed between Lecce, in Southern Italy, and New York, where Mauro Durante spent several months composing some of the songs with the likes of Joe Mardin (Aretha Franklin, George Benson, Chaka Khan, Whitney Houston, Jewel, Bette Midler), Michael Leonhart (Bruno Mars, Steely Dan, James Brown, Lenny Kravitz, Mark Ronson), Rasmus Bille Bahncke (Backstreet Boys, CeCe Winans, Sting, Blue, Miley Cyrus), Steve Skinner (Arif Mardin, Celin Dion, Diana Ross, R Kelly) and Scott Jacoby (Coldplay, John Legend, Vampire Weekend, Sia, Rachel Platten). 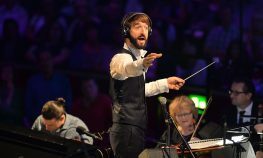 Guests on the album include the UK’s Justin Adams on Aiora and English-French singer songwriter Piers Faccini on Subbra Sutta (he also co-wrote the song). The album also features the cello of Marco Decimo and was produced by Joe Mardin, son of the legendary Arif Mardin (Norah Jones, Aretha Franklin, The Bee Gees, Chaka Khan) and mastered by Joe LaPorta (Grammy-winning engineer for David Bowie’s Blackstar). 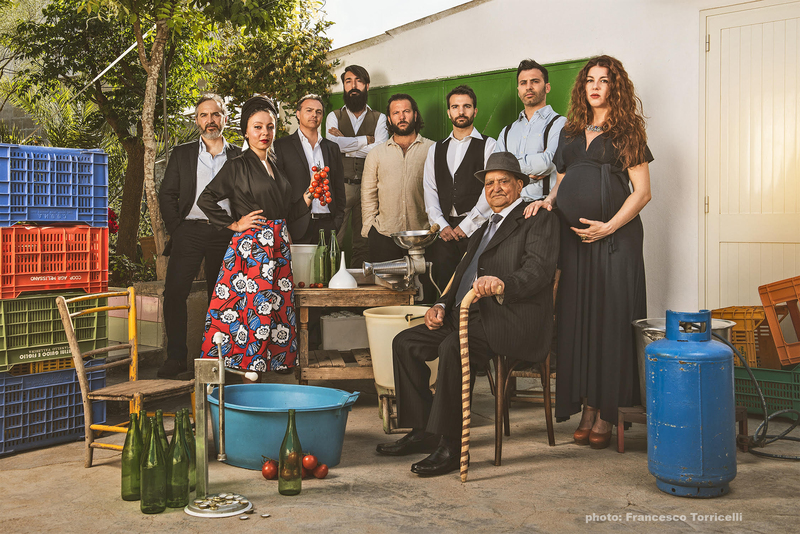 Italy’s fascinating dichotomy of tradition and modernity come together in the music of CGS: the seven piece band and dancer are the leading exponents in a new wave of young performers re-inventing Southern Italy’s Pizzica musical and dance traditions for today’s global audience. The tens of thousands who often congregate for this Lecce-based band’s concerts in Italy know that bandleader, fiddler, and drummer, Mauro Durante and company can make an audience shimmy with the energy of the ancient ritual of pizzica tarantata, said to cure the taranta spider’s bite with its frenzied trance dances. CGS shows are a life explosion: full of energy, passion, rhythm and mystery, they bring the audience from the past into modernity, and back. 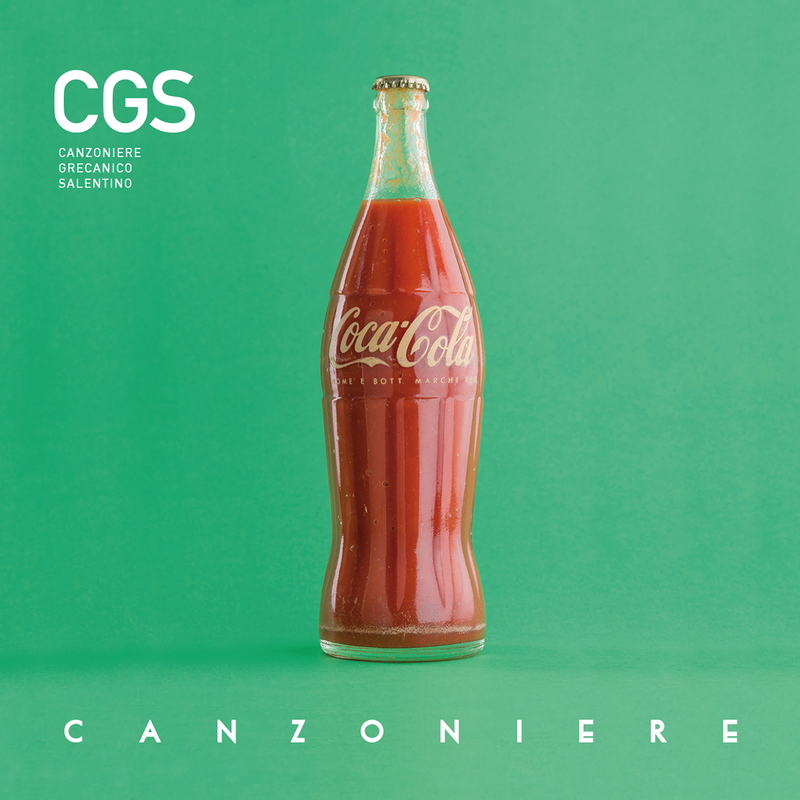 The cover art is by Casa a Mare and entitled ‘Coca-Cola, 2015’. Maura remembers his grandparents using the coke bottle as a container of something homemade, such as tomato sauce. In the same way, he uses the western pop song as a “container” for his music, lyrics and culture – the essence of what he is. The artwork “Coca-Cola” felt like the perfect visual description of what he was doing.